The start of 2019 has brought us many new shows through the Netflix streaming platform, and 'The Umbrella Academy' is one of the shows to watch out for. While most people may not have even heard of its graphic novel with the same name as recently as last year, 'The Umbrella Academy' has been slowly seeping into our consciousness and claiming a home there. 'The Umbrella Academy' is based on musician Gerard Way's award-winning novel and the first season of the show heavily revolves around the start of his comic book series, 'The Umbrella Academy: Apocolypse Suite'. 'The Umbrella Academy' follows a family of superheroes, who are out to save the world but must settle their own petty squabbles before they can get on to bigger problems, namely finding their father's murderer, and saving the world. The family's name is Hargreeves, as given by the children's adoptive father Sir. Reginald Hargreeves, and consists of Luther (Spaceboy/Number 1), Diego (The Kraken/Number 2), Allison (The Rumor/Number 3), Klaus (The Seance/ Number 4), The Boy (Number 5), and Vanya (The White Violin/Number 7). Number 6 is Ben Hargreeves, who is deceased, but yet appears to Klaus in his visions to mostly guide him. The characters in the series are near-exact copies of the graphic novel, and Gerard Way went out of his way (pun, of course) to make sure they're as strange as his My Chemical Romance song 'Interlude'. A near-exact adaptation is but one of the perks of watching its live adaptation and to see the characters so effortlessly transferred to film is simply a joy to watch. 'The Umbrella Academy' does have its fair share of melancholic brooding characters like the comic book giants of today's day and age, prefer to portray, but with one important difference, they're simply just not as pretentious. There's something just so real and unreal about this series. 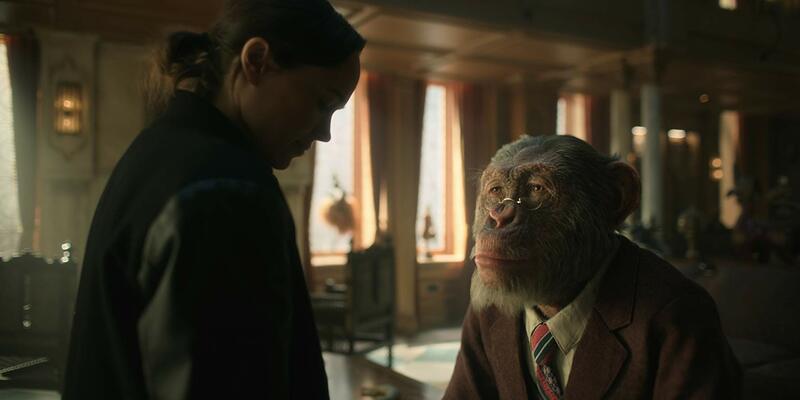 While other superhero shows need to explain why a character has become or transformed in a certain way, 'The Umbrella Academy' gives no explanation as to why there's a talking chimp-butler just being randomly introduced to the viewers, and this is one of the running themes of the series as well, not everything in a fictional universe needs explanation. The characters on 'The Umbrella Academy' are not your average superheroes, and it's highly doubtful if we could even call them superheroes because they have a hard time getting around their own feelings for each other. We see a very distant Sir. Reginald Hargreeves, train his "children" on a daily basis to get the children familiar with their powers, but his controlling nature and lack of empathy for his children are what starts driving the family apart. The first to leave was Number 5 aka The Boy (Reginald didn't even bother giving him a proper name), who's time-traveling powers helped him jump into the future with the thought of never coming back, but his time-travel adventures lead him to a grim reality of the coming apocalypse. 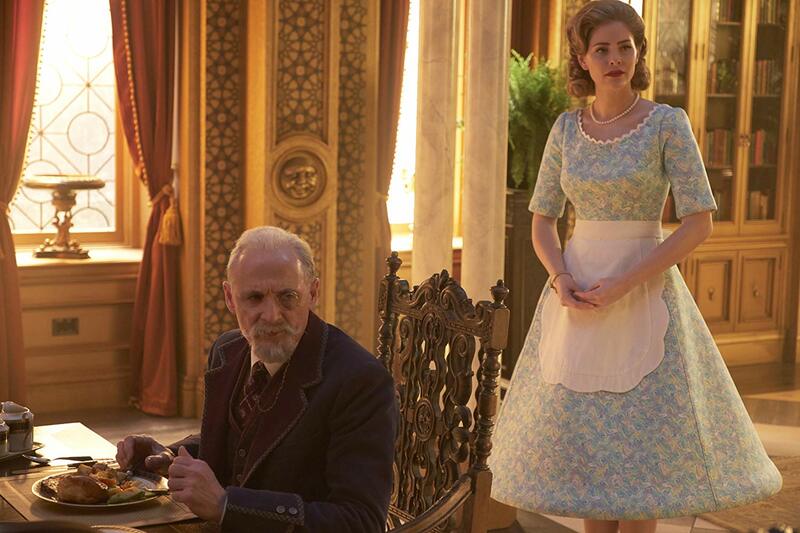 He returns to the family (who's now all grown up and have moved out of their mansion) and tries to warn them about what he's seen while claiming to be 50-plus years and still looking like the kid who'd just left his house (time travel is a funny thing). 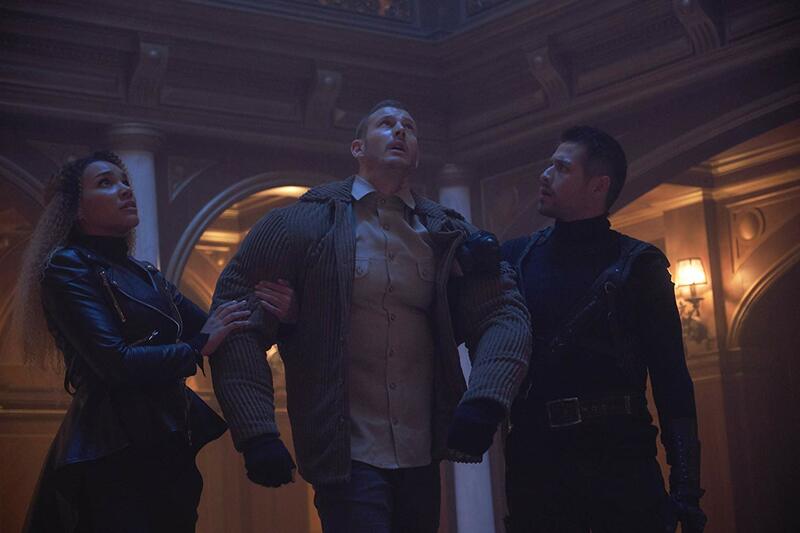 Allison, Luther, and Diego in 'The Umbrella Academy'. We see Luther, who eventually becomes the team's reluctant leader, has been hiding a secret from his brothers and sisters as well. Luther possesses the ability of being super-strong, and his secret is his hideous ape-like body (for which he always wears an overcoat and gloves) which got transformed when Reginald performed an emergency experiment on him to save his life. He's been living on the moon from his teenage years onward and had recently returned to the family to mourn their father's death. Klaus is the family junkie who possesses the power to see spirits, and it is this ability that has led Klaus to turn to an extreme drug habit in order to shut out his thoughts and the spirits that plague him, including his own deceased brother, Ben Hargreeves. Diego is exceptionally good at knife throwing, and while the book mentions he can hold his breath indefinitely, that is yet to be seen. Diego's got a point to prove, and he's one of the few people who are really close to their robot mother, who he admires for raising the child while Reginald couldn't be bothered. 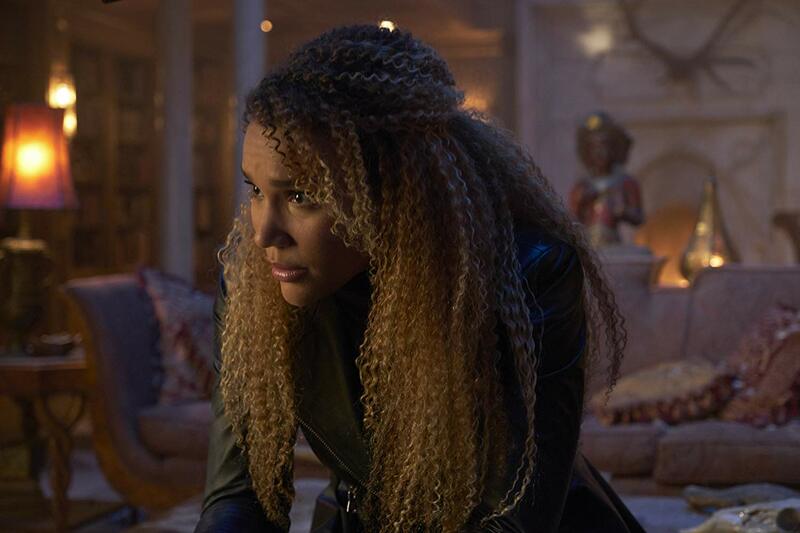 The Rumor (Emmy Raver-Lampman) in 'The Umbrella Academy'. There's The Rumor, whose exceptional skill of influencing others by her words alone, sees her skyrocketing to fame in Hollywood, but she loses her husband and family to her manipulative ways and doesn't know how much of the world around her she's influenced. Finally, there's Vanya, who's one of the supposedly powerless members of the family, and was highly neglected by Reginald during her childhood years. This leads Vanya with a need for being loved, and when she becomes an adult she releases a tell-all book detailing the neglect and messed-up life she had to lead with the family of superheroes, much to her family's disdain. 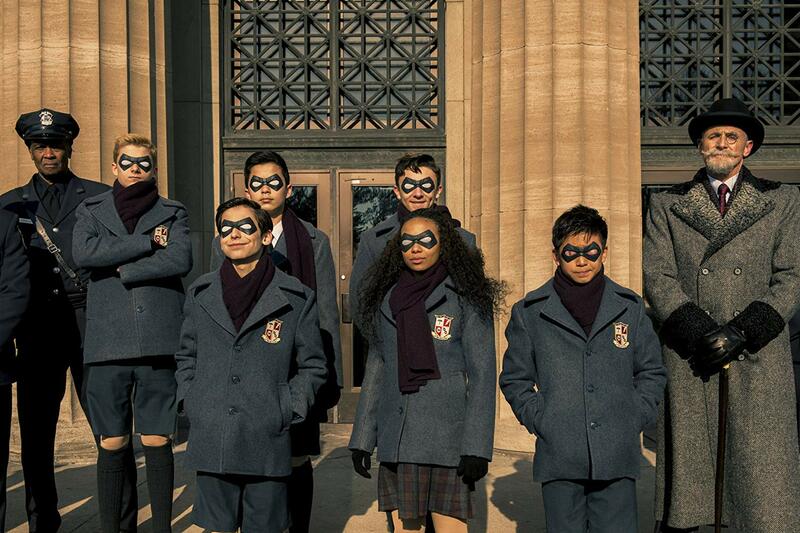 Like we said, their powers are not all that super, but 'The Umbrella Academy' makes it work somehow, and that is the beauty of this show, mediocre powers with a great storyline, which concentrates on the human side of a superhero family. While you'd think the looming apocalypse would be the main storyline of the series, the series actually covers all aspects of what made and broke the family, and it tends to humanize this bunch of zany characters with much success. There are just so many elements thrown into the mix that you'd think the show would be a modge podge of media and action. There are also the antagonists, Cha-Cha (Mary J. Blige) and Hazel (Cameron Britton), who's murderous tendencies are simply outrageous, and them burning down a prosthetic lab while high on cannabis cookies (courtesy of Klaus), is one of the highlights to look out for, not to forget, their creepy anime inspired masks, which fit so well with such an offbeat show. While an average viewer may find the series a bit shocking for their taste, watching the show without comparing them to other superhero shows will open your eyes to the brilliant new world of 'The Umbrella Academy', because these are not your average superheroes. 'The Umbrella Academy' is slated to release next week February 15, only on Netflix.